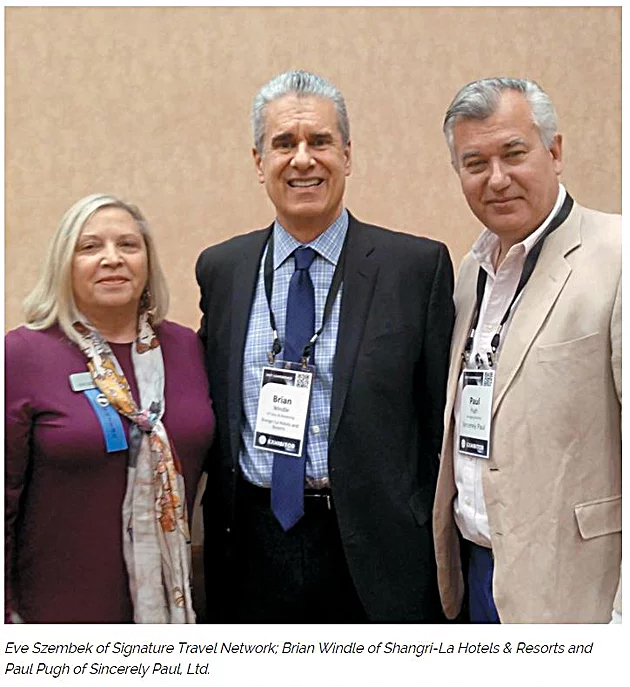 Luxury Travel Advisor held a roundtable in December at the Signature Annual Sales Conference in Las Vegas. 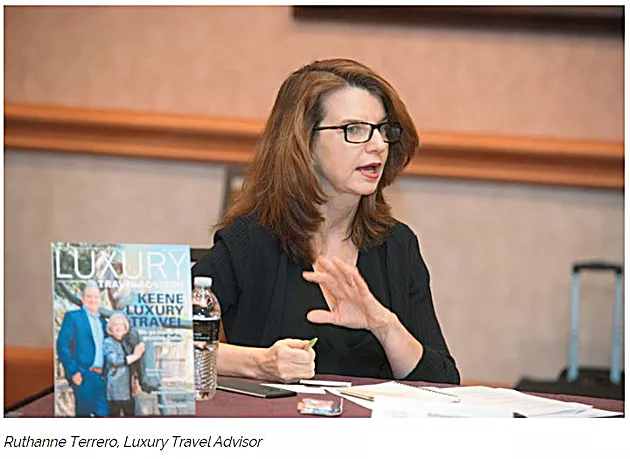 Included was an esteemed group of suppliers and travel advisors who joined together to get a pulse on affluent traveler trends. We reviewed 2017 and what lies ahead for affluent travelers. On hand were Kristian Anderson, Uniworld Boutique River Cruise Collection; Florence Brethome, TravelStore; Peter Carideo, CRC Travel; Claudio Catani, Hotel Brunelleschi; Michal Chour, Radisson Blu Alcron Hotel, Prague; Greg DeClemente, Courtyard Travel Ltd.; Justin Dolan, CTA Travel; Virginia Irurita, Made for Spain and Portugal; Gary Murphy, AmaWaterways; Paul Pugh, Sincerely Paul, Ltd.; Pascal Visintainer, AccorHotels Luxe and Brian Windle, Shangri-La Hotels and Resorts. The discussion was moderated by Ruthanne Terrero, VP/Editorial Director of Luxury Travel Advisor. Following is a condensed version of the discussion. 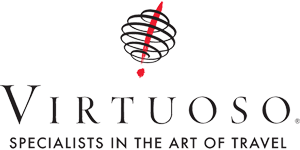 Ruthanne Terrero, Luxury Travel Advisor: Let’s open by taking a pulse of your business. How are things going? Virginia Irurita, Made for Spain and Portugal: We’re seeing that the demand is out there. Clients are looking for us to open up their appetites for things they never thought they could do. We are seeing that a lot. We’re also seeing that clients are looking to spend more. Pascal Visintainer, AccorHotels Luxe: We have also seen an increase in client spending, especially for our high-end brands like Raffles and Fairmont. Gary Murphy, AmaWaterways: We’re in a very good sector of the business because river cruising is still very popular. More and more of the blue-water cruisers are discovering it, thankfully, and our business is strong. We’re hopefully having to discount less. Brian Windle, Shangri-La Hotels and Resorts: We’re experiencing a total economic upturn around the world. People have more disposable income and so the spend is up, and they’re spending on ancillary products more, such as spa treatments. Paul Pugh, Sincerely Paul, Ltd.: I’d echo that. Certain people are spending. We’re conscious that they do shop around, but it’s still about quality versus the quantity. Special experiences are what people want. Our business has increased in areas outside London, like the Cotswolds region and in Scotland, where the shores just had an incredible amount of business. 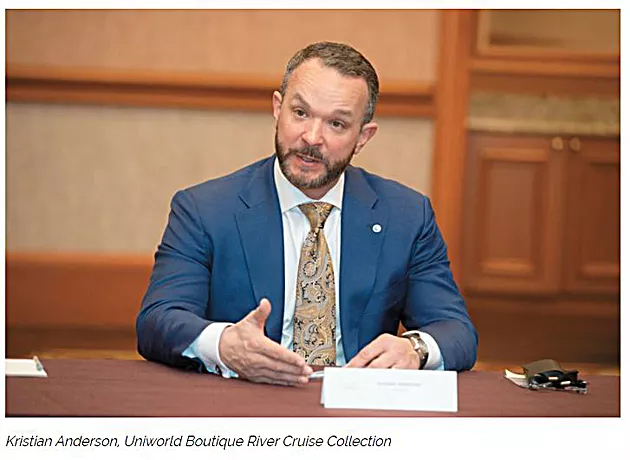 Kristian Anderson, Uniworld: We’re coming off probably the best year in five years; 2017 has been tremendously successful for us. I echo the various comments about the growth segment. River cruising is more popular, perhaps, than it’s ever been. If there’s any testament to that, it’s the growing [vessel] capacity. What we’re seeing that’s interesting this year, one of the dynamics, is that our exotic itineraries are great. Egypt seems to be back, perhaps not as strong as five years ago, but it’s coming back in a very strong fashion. Southeast Asia is very popular right now, so, we’re encouraged. One of the characteristics that’s defining the consumers’ behavior today is that people are becoming a bit more resilient and perhaps also slightly fatigued. They’ve been planning a trip to London for the last five years and something happens. But they’re still going to go to London. Ruthanne Terrero: I was just at USTOA, and CEO Terry Dale was saying that every single tour operator there is forecasting a single-digit or double-digit increase in business. And part of that is that people are still traveling, regardless. Justin, can you tell us a bit about your business and what you are seeing? 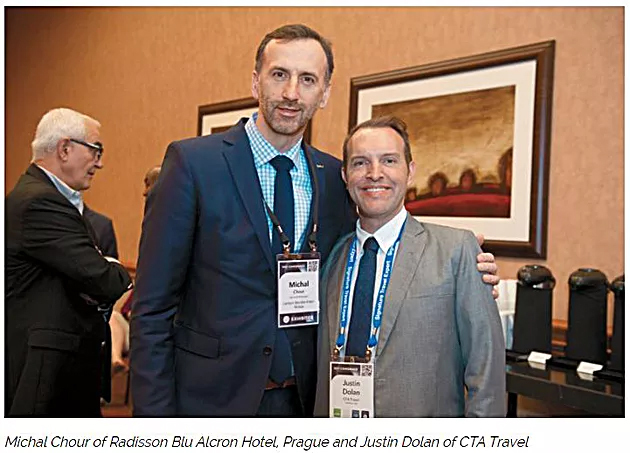 Justin Dolan, CTA Travel: CTA Travel is a brick-and-mortar, traditional agency in a suburb of Los Angeles. We definitely have that segment of people that live and work around us, that come to our office. They’re in all demographics, from budget to luxury. We have various agents that specialize in everything from groups to cruises to luxury. I personally work mostly in the luxury space. We’ve seen tremendous growth over the past year. Right now, all of our agents are doing really well, not just one segment. One of the reasons why I’m here, and most of our team is here [at the Signature conference], is to not take that growth for granted and to realize that, yes, you’re growing on your own right now, but what’s going to keep us growing, in two years, in five years? Being a step ahead of that growth is what our focus is over the next four to five years. Michal Chour, Radisson Blu Alcron Hotel, Prague: What we see in operating our hotel is if you give your customers a strong enough reason to come and spend with you, they’ll do it and you will be able to grow your business. But there has to be a fundamental quality behind that and you can’t be trying to outsmart customers with marketing strategies without substance. 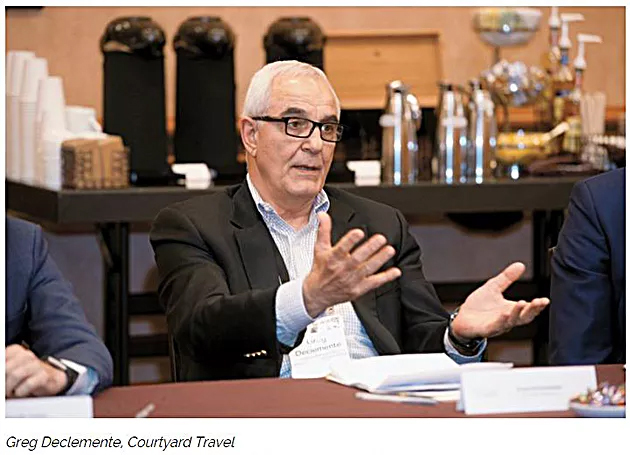 Greg DeClemente, Courtyard Travel:  has been a good year, but it’s been a challenging year, whether it was man-made challenges or natural challenges. I think, overall, though, we’re in a good place. Luxury travel has become the leading discretionary expenditure. Against all the other channels right now, luxury travel is about 49 percent of discretionary spending. We’re in a good place to capture that. Experiences matter and service is still key from our standpoint. We’ve got to provide impeccable service. We’ve got to be an advocate for the client. They have to know that we’ve got their back. 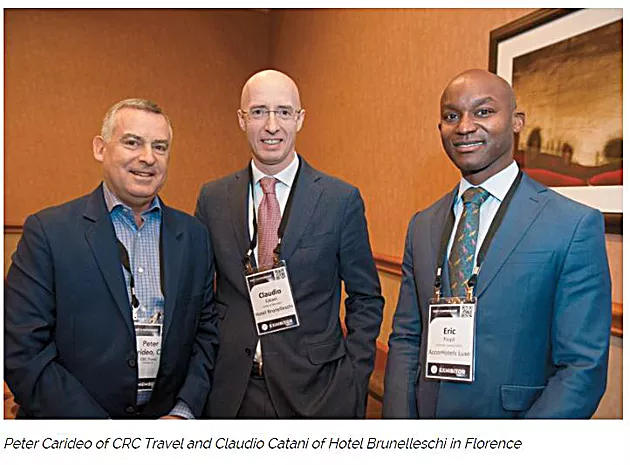 Claudio Catani, Hotel Brunelleschi: We have had a tremendous year. It has been the best year so far, since 2008. We have been through a 20 million-euro renovation over the last four years. We have seen an increase in the average daily room rate, but that’s also, driven by selling more suites, more rooms with a view, more unique rooms. We are seeing an increase in occupancy, driven by the fact that the clients are traveling more in the shoulder season. We’re also seeing an increase in ancillary revenues. If we are able to offer high quality in the F&B department, for instance, we are able to make more revenue. We just hired a one-star Michelin chef. But, yes, they’re spending money. People are spending half a million dollars on trips. Ruthanne Terrero: Let’s address the wellness in travel issue. Once was, you’d go on vacation and drink and eat way too much because you were pampering yourself. But I suspect that’s changed for just about all of us. Peter Carideo, CRC Travel: I seem to be doing biking, walking or hiking for every trip. That’s only a piece of it. For a trip to Scotland, I have four couples traveling together, two want to hike, two want to bike. I’m also not doing fancy, fancy restaurants anymore. It’s more about locally sourced foods. Florence Brethome, TravelStore: For my clients, wellness opportunities have to be available when we build experiences, whether it’s with the DMC or the hotel. Some hotels have great wellness experiences available and that makes it very easy for us to offer them to our clients. Justin Dolan, CTA Travel: A lot of our clients have changed their mindset of going on vacation. Now they’re going on a “retreat.” They want to come away from this retreat looking better, feeling better and smarter and more enriched so they have more things to share with their friends. Part of that is certainly about wellness. Greg DeClemente, Courtyard Travel: Wellness is part of it, but not a big part of it. It’s more about experiences. It doesn’t even have to be about individual things like a gym or a restaurant. It’s more about painting a picture of the destination that gets the client excited about the trip. I don’t have a lot of clients that specifically say, “We want to go on a wellness vacation,” although the gym comes up a fair amount of time. 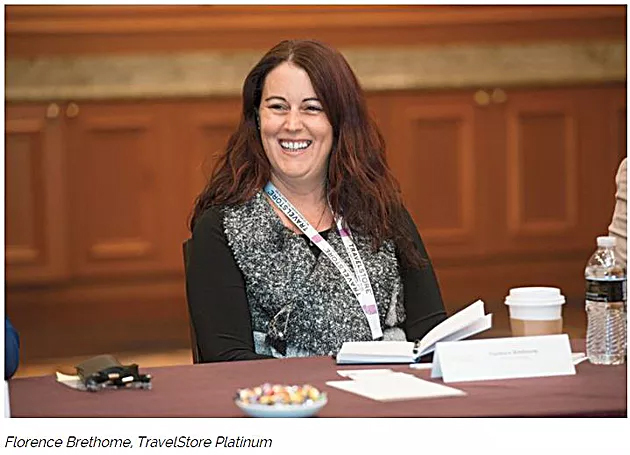 Florence Brethome, TravelStore: When I’m in the planning process, 95 percent of the time what I’ve found is the reason for taking that trip has to do with wellness rather than stress. 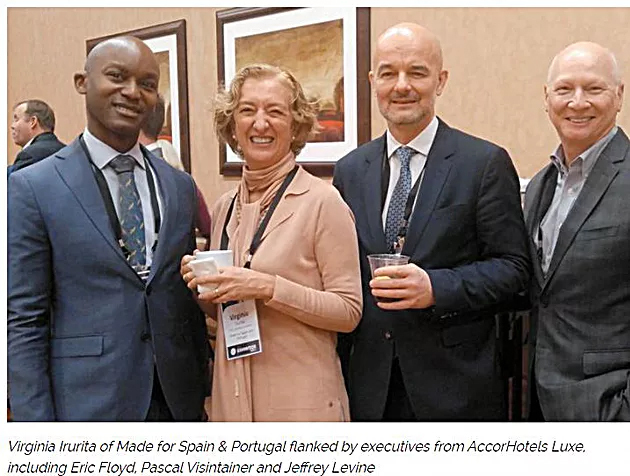 Virginia Irurita, Made for Spain and Portugal: Spain and Portugal are places you want to eat and drink because of the wine and the great food. We are seeing a lot of travelers who are really stressed, who are looking to come back feeling even better, not fatter and feeling bad. We have created some experiences around that. For example, we created a tour in Madrid called “10,000 Steps of Art.” We take them to different art galleries and at the end of the tour, they’ve done the 10,000 steps. Gary Murphy, AmaWaterways: For us, wellness is an important component. But many of our activities that we create to attract customers are driven by the customers. After we put the bikes on board, I ran into eight ladies and said, “Where have you been?” They told me they had arranged to take the bikes out, had spoken to the captain, and planned to meet the ship later on in another port. I’d love to say that we came up with that idea [of biking from one port to the next], but these ladies had sort of planted the seed. I chose to go biking with them the next day. That was a big mistake. They were like little specks on the horizon. Diet is also more and more important. Guests want to know what’s in the food, if it’s low salt or gluten-free. We address all those dietary restrictions in our menus. It seems to be working. We [partner with] Backroads, which is a strictly biking company. They’ve booked more departures for next year than any other year because more people are looking for that component. Kristian Anderson, Uniworld: The culinary aspect is one of the things that’s a hallmark of Uniworld; people come back from that experience saying, “That was one of the best meals I’ve ever had.” [On a recent trip] in Venice, we had a couple of meals off the ship and we had a couple of meals onboard. The meals onboard, because our culinary is designed to be immersive to the destination, were phenomenal compared to when we went to Michelin-rated restaurants in Venice. I think at the end of the day, that’s something that our clients and our consumers really enjoy and appreciate. The food has got to taste good. 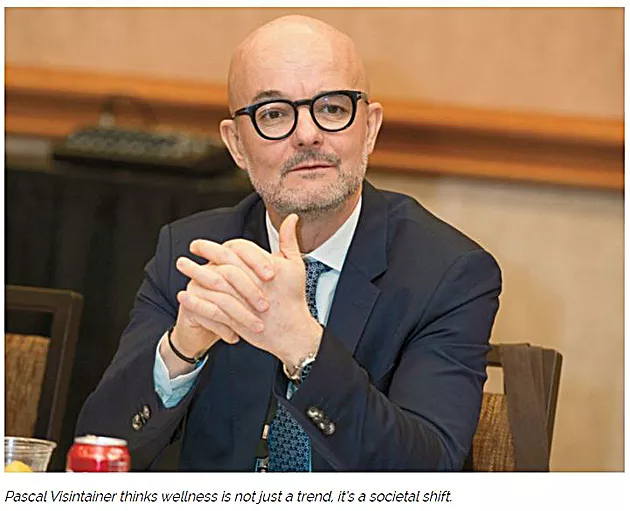 Pascal Visintainer, AccorHotels Luxe: I can see that wellness, is not just a trend, but really a societal shift, because we can see wellness everywhere down the line. To that point, we created the position vice president of wellbeing, and that person is in charge of spa and fitness. When you think about the new generation of hotels, [we need to] make our guests to feel healthy and it’s also important to reach out to the local community; that’s very important. We also work on the whole aspect of the state of the guests, how to sleep, about the food, about sports, about the spa.We also work on the spa a lot with yoga. Yoga is very popular. Our president just signed a new Raffles hotel in Dubai and the hotel is to be conceived around the concept of wellness. 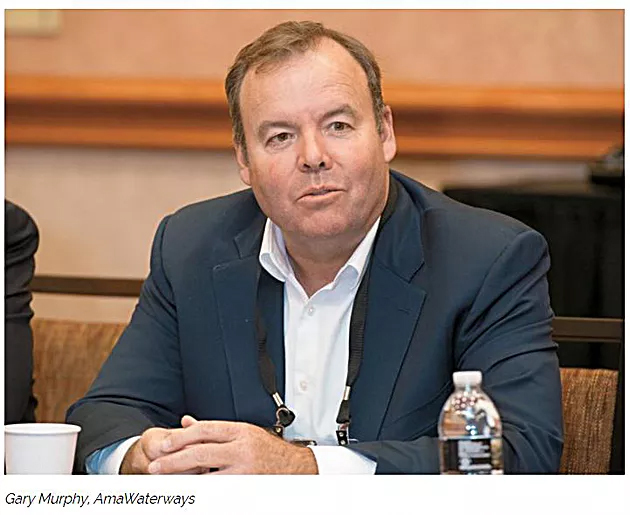 Brian Windle, Shangri-La Hotels and Resorts: We have spas in our resort properties and we’re seeing an uptick in fitness, not only at our resorts, but across the entire company. We have put in some yoga programs and we have a partnership with Lululemon for yoga on guestroom TVs for guests that might want to do yoga in their rooms. We’ll be doing that at Shangri-La Hotel at The Shard in London at a very high elevation to the city. Also, in Toronto and Vancouver, as well. In general, we’re seeing an uptick in spa treatments. People are interested in de-stressing on vacation. We have a new brand called Kerry Hotels. These hotels have very large sports centers. 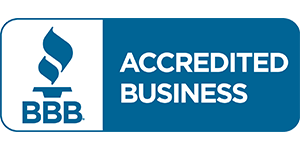 That’s driving our business, because they have not only basketball courts, but they have incredible workout facilities; some people want to have access to that equipment while they’re traveling. Meditation is becoming very popular. It’s a whole mind issue as well as cuisine; people are just trying to stay healthy. Ruthanne Terrero: Let’s talk about what people are spending their money on; I know it’s more about personal fulfillment these days than buying, say, that great handbag. Peter Carideo, CRC Travel: Well, the other day, I arranged a $3,000 sushi class for an hour and a half in Japan. Greg DeClemente, Courtyard Travel: We have very wealthy clients with a family tradition; every time a grandkid turns 13, they ask the grandchild where they want to go. Last year, little Tommy turned 13. He’s a huge Harry Potter fan. They turned to us and said we’re going to take Tommy to London, but you must get us tickets to see the new Harry Potter play on Saturday night. Sure enough, we got them tickets at $3,700 each. They spent that money. We did a smart thing, though. We found out that the play was in two parts. The grandmother went in the afternoon with Tommy. Then we had them met by a car; they went to a Joel Robuchon restaurant in London. Then the grandmother went back to the hotel and the grandfather did the evening performance. It just all depends. If they ask you for it, you have to make all efforts to get it. Florence Brethome, TravelStore: I specialize in honeymoons and destination weddings so most of my clients are under 40. Wellness is a priority for their trips. I think it’s also the destination; if they go to Europe I make sure they have one or two stops where wellness options will be available to them, but not when they’re in a big city. But if it’s Asia, there are plenty of opportunities. Ruthanne Terrero: Let’s jump into destination immersion, the live-a-local angle. It started out with the Millennials who said they want authentic experiences when they travel, but don’t we all want that? Paul Pugh, Sincerely Paul: Many years ago, just after the recession hit, we saw a little drop in business. I said to my guys, “We’re going to have to put something new together.” We started a tour called “London Through the Eyes of a Londoner,” which is what it is. Literally you go to all the main sights of the city, but you use a bus or a taxi to get to the various places. It’s still to this day our top-selling tour. We’ve now taken it a bit further than that. I just teamed up with a farmer in the Cotswolds; he’s got a huge farm. He’s put together a great program where we visit the farm during the lambing season. Back in the city, there is actually one lady who is very, very wealthy; she’s married to an aristocrat and she’s put together something so we’ll be going to someone’s home for afternoon tea. She has a particular history with the royals, and with the royal wedding next year, it’s going to be quite interesting. It’s all about being creative and trying to put together something interesting. We’re now going into the East End and we look at the Borough Market or at the street art. Ten years ago, would people be interested in something like that? Perhaps not as much. But now, if you want to go into parts of the city you’ve never been to before, you’ve got people to help you do that. People want to see or experience things that they’ve not done before. And it doesn’t necessarily have to be something five star, as long as they’re safe and they’re in an area with the right type of guide. I think that’s the key for us, making sure you’ve got the right people that can deliver. Virginia Irurita, Made for Spain and Portugal: I also see a big trend of meeting local people. When I began the business, I realized when you travel, you only speak to the drivers, and concierges and guides. What we organized was the ability to speak to Spanish and Portuguese people who are not in the industry. We have created a “Lifestyle Tour” that shows you how your life would be if you moved to Lisbon or if you moved to Barcelona tomorrow. It shows where we live, what the prices of the apartments and the houses are. We see the different neighborhoods, where the kids go to school, who lives here. The people taking the clients on the tours are not guides, they’re usually local people who are good communicators with English-speaking skills who know very well the food and wine of the neighborhoods. Claudio Catani, Hotel Brunelleschi: Regarding living like a local, sometimes we have to teach the clients that Bolognese pasta is not served with meatballs. It took me half a day to explain to a client, because he was complaining. He ordered the Pasta Bolognaise…we do the Bolognaise à la minute, so we cut the meat and it’s very fresh. We served it and the guest said, “Can I talk to the manager? I’m complaining. This is not what I ordered. Where are the meatballs?” The maître d’ was embarrassed, so he called me. I sat with the client and told him how and why the meatballs were not there. Meatballs in Italy is the Sunday lunch with the Mama, when the meatballs are served as the main course instead of with the spaghetti. I asked our chef to send him the recipe for the Bolognaise sauce as we prepare it and the client laughed. This is one way to spend time with the guests and to teach them. Pascal Visintainer, AccorHotels Luxe: We try to open our hotels as much as we can to the whole community. More and more, we are making it easier for guests to see the local community. I’m thinking about, for example, Le Royal Monceau, which is a Raffles hotel in Paris. It is one of the 10 or 12 palace hotels in Paris. But it is the only one where guests can really meet Parisian people. The locals love to come to Le Royal Monceau for breakfast or a drink. Guests can really feel that they’re in Paris, not just at some hotel at the end of the world. Our president had a very nice idea recently for our hotels to offer services to the local community. That means that local people will be able to come inside to use the concierge service, to go to the restaurants, to order some flowers and pick them up at the hotel. This is all to infuse the local community and society inside the hotel. I think that makes a big difference. Kristian Anderson, Uniworld: Uniworld partners with a company that’s becoming quite popular now, VizEats (now called EatWith). I guess the best way to describe it is sort of an Airbnb for dining. You’re not staying, you’re not residing somewhere. I experienced it when I was in Paris. A group of us had dinner in a retired cardiologist’s home, not too far from the Eiffel Tower. He and his wife prepared the meal, so we were eating authentic homestyle French cuisine with Parisians and sharing our experiences as citizens of the world. It was a nice break from the traditional tourist experience. The point is that it’s part of a package. It’s the simplicity of that access that a travel provider is able to share with their client. We take care of it from beginning to end. Michal Chour, Radisson Blu Alcron Hotel, Prague: Two years ago, we co-chaired an event for 400 people coming from all over the world to Prague. The most popular event was the Dine Around. We managed to get those 400 people in with families to dine. Either the food was sourced from a local supplier or it was home cooked. The second part of the program was optional; it was a flight on a supersonic jet. It sold like hot cakes. Again, it’s about providing something that is unique and interesting. This was an isolated event. But it made me really think that if you have interesting people and you can match them up with other interesting people, it can really be a unique experience.